Thank you all for your lovely comments in the last posts, they make me so happy so please keep it up! I love this outfit. Simple, pretty and nice! Love this outfit that dress worn as a skirt is great. I love this skirt! So pretty. 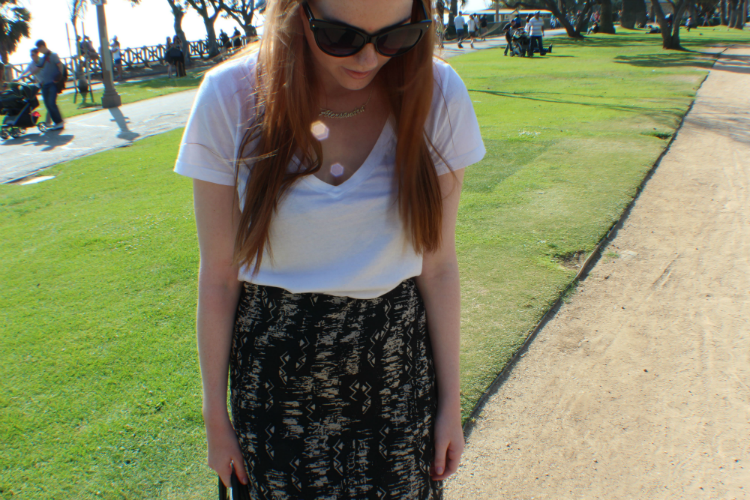 Pretty outfit :) Hearing about Santa Monica, Venice Beach and Forever21 makes me miss America so much! I am so glad to have come across your blog! I love it. You look beautiful! The skirt really suits you! You hair is gorgeous dear! boho look is amazing, and i really like the skirt u're wearing! Very pretty outfit! That is a great find, I am loving the tribal prints that are out this spring. I'm having a resort giveaway on my blog I think you are going to love, please pass by to enter! OOOh such a nice outfit!!! This looks amazing on you - love the simplistic styling. I feel like the black & white goes really well with your hair color - tres chic! 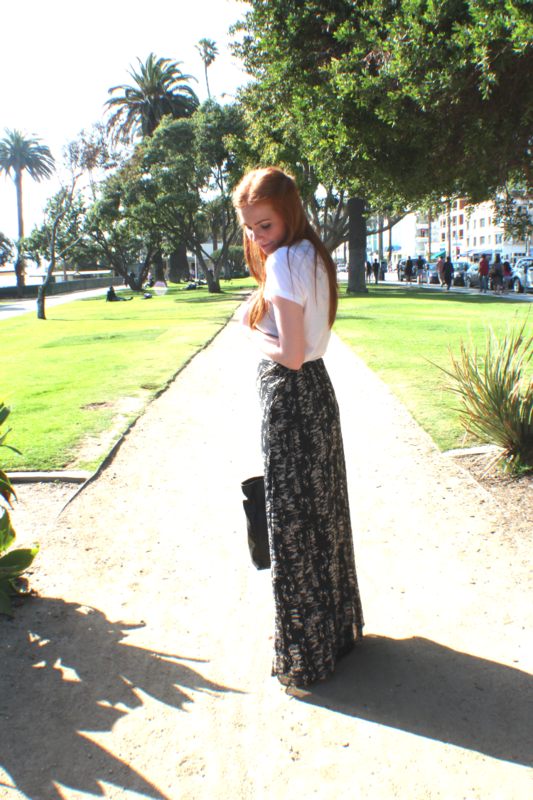 love the maxi- you look great!